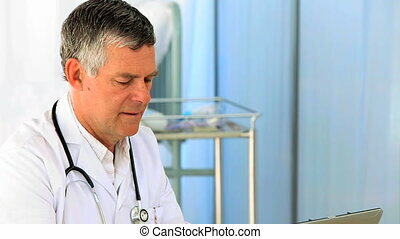 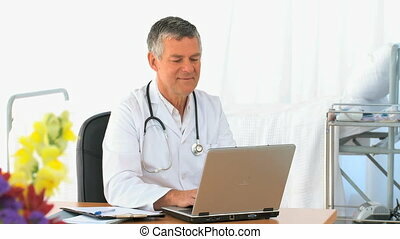 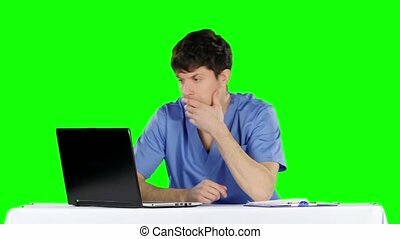 Doctor working on his laptop. 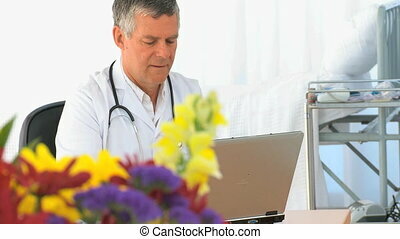 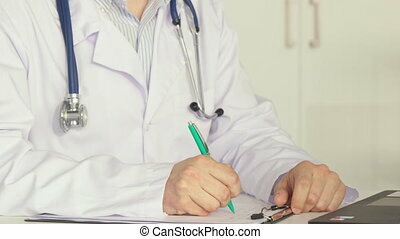 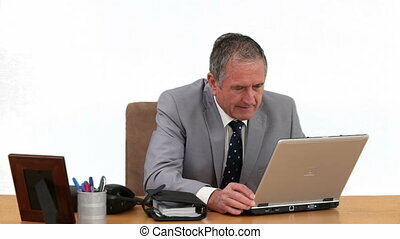 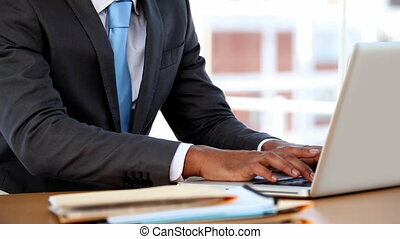 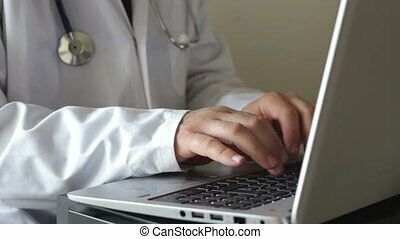 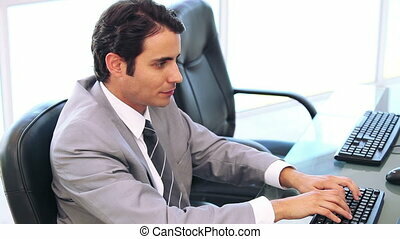 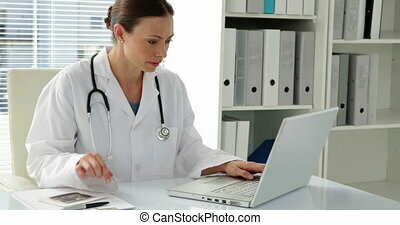 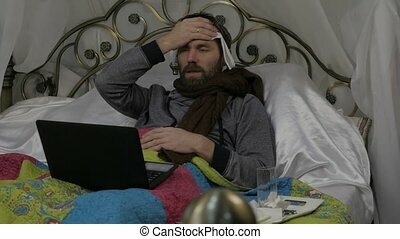 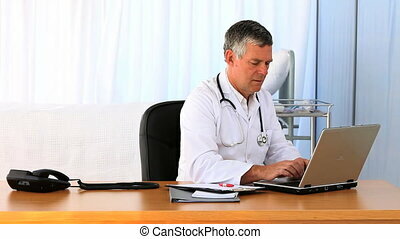 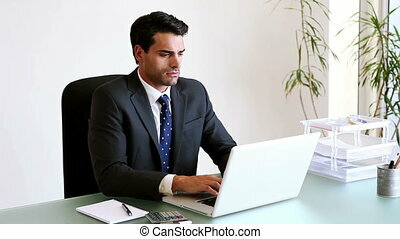 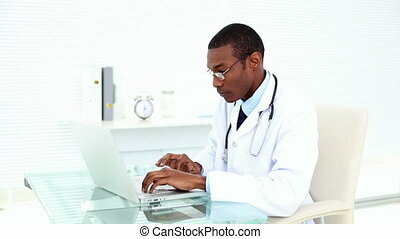 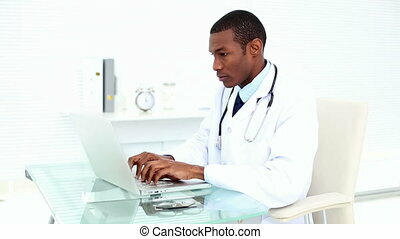 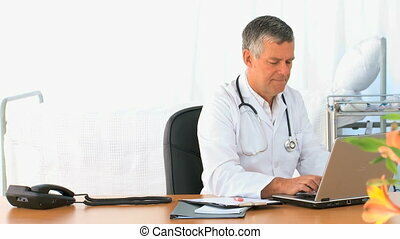 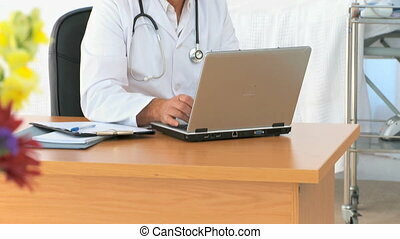 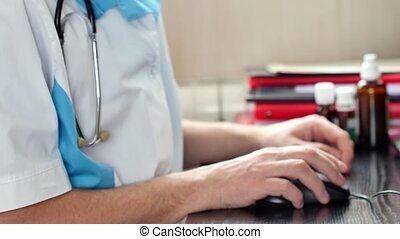 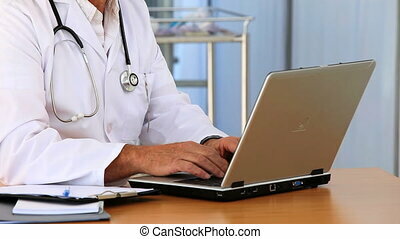 close up on doctor hands while he use his laptop to write an online article or advise. 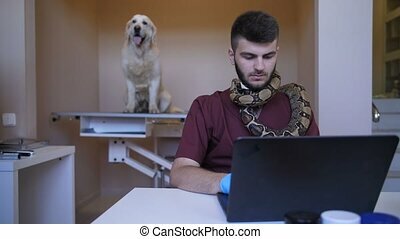 Young handsome veterinary specialist working on laptop pc at pet care clinic while python snake exotic pet moving around his neck and golden retriever dog on examination table. 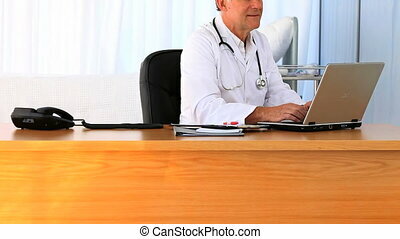 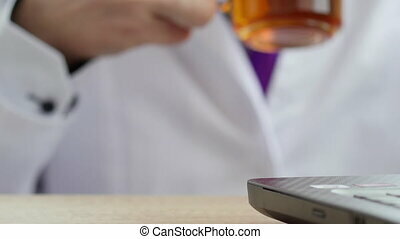 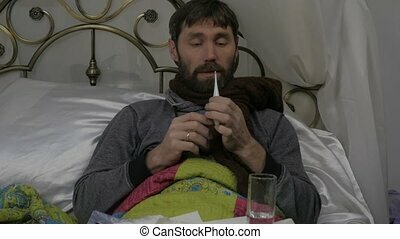 Mediacal doctor working at office desk. 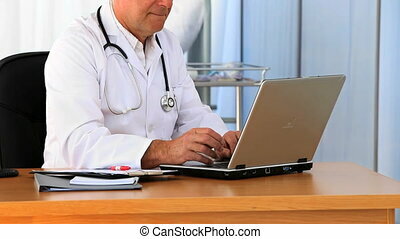 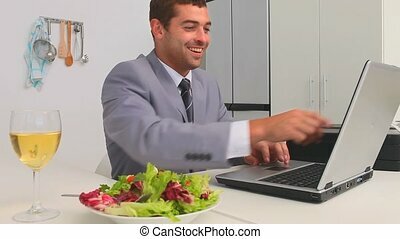 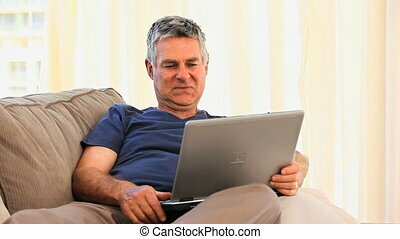 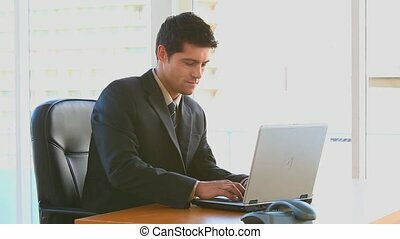 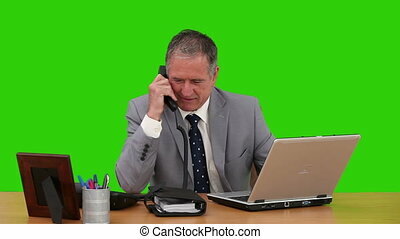 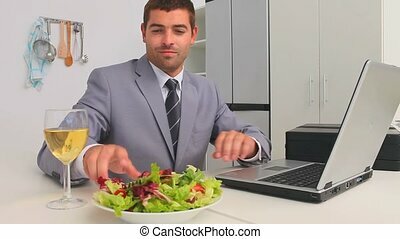 He is typing on his laptop. 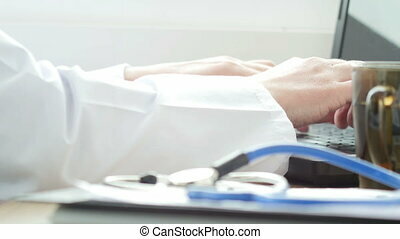 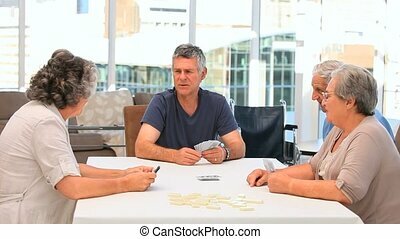 Concept of healthcare.